As we are all acutely aware, Google is having a huge hardware event on October 4th, and in very un-Google fashion, it's aggressively advertising it. We're fairly certain at this point there will be a pair of Pixel phones and a few other goodies, including the 4K Chromecast Ultra. A few images of that device have now leaked courtesy of Evan "evleaks" Blass. As you can see, the Chromecast Ultra looks... like a Chromecast. It has the same puck shape as the current HD-only Chromecast with the ribbon cable HDMI magnetically attached to the back. The Chrome logo is nowhere to be seen, though. It only has a subtle Google "G" on the front. It will launch with firmware version 1.21, which recently rolled out to users in the Chromecast preview program. This update removed all the Chrome branding as well. There also appears to be a button on the new Chromecast, perhaps to use as a reset or on/off switch. We expect the Chromecast Ultra to launch at a price of $69, almost twice what the current HD Chromecast costs. 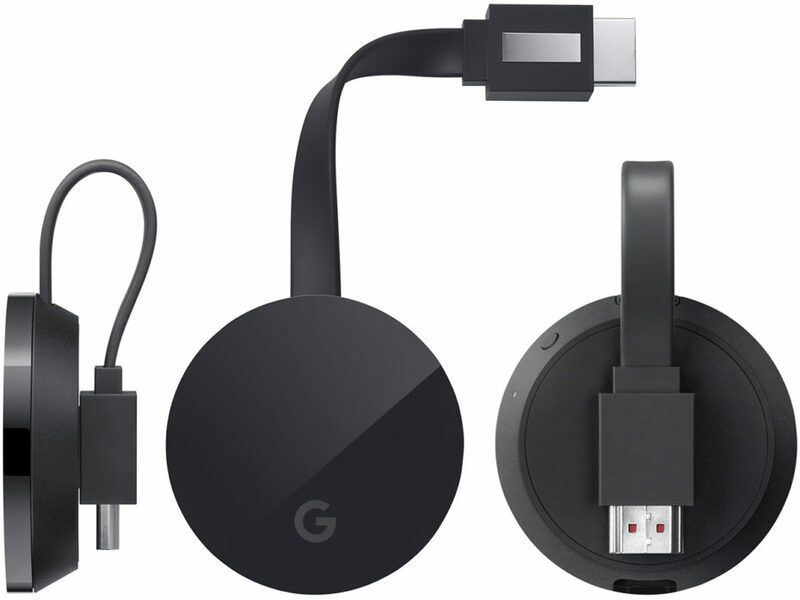 Venturebeat reports that the current HD Chromecast will continue to be available, so those with non-4K TVs won't have to pay the higher price for hardware they don't need.